Getting a good night’s sleep is more important than you might imagine. Not only is sleep linked to longevity but other positive things such as a positive mood. The problem is some people do not sleep soundly at times, especially in the summer. This makes sense because the body needs the surrounding temperature to be relatively low to get a good night’s sleep, and summers can definitely have a negative effect on your quality of sleep. Do not fret, there are a few steps you can take to keep your bed cool and get that sleep everyone needs. The easiest way to keep your bed cool is to turn on your AC about an hour or two before you go to bed. You want to make sure that the temperature stays between 60 to 67 degrees. Remember that you want the temperature to be comfortable, so try to find the right number to increase your chances of sleeping soundly. Be sure to close the doors in your room to maintain this temperature as long as possible. Sometimes, the reason your bed does not feel cool is because the moisture in the atmosphere is hot, which the bed is absorbing. This problem will not be stopped until you control the moisture in your room. Thankfully, you can simply purchase a dehumidifier to control the moisture in your home. These devices not only help keep your bed cool but also improve the quality of air in your home. Be sure to turn this machine on about an hour or two before you head to bed to keep the mattress as cool as possible. Most people use thick duvets, blankets, and sheets during the winter but that time is over. You can put these thicker bedding layers away, and replace them with something a lot thinner and lighter. It is important to consider material when choosing your bedding layers. Cotton is a good option because it absorbs sweat, keeping you and the bed a little cooler. Another good option is linen or silk. These materials are naturally cooling and breathe easily, which should help keep your bed cool at night. It is a good idea to stay away from synthetic materials because these normally retain heat, which is not something you want. 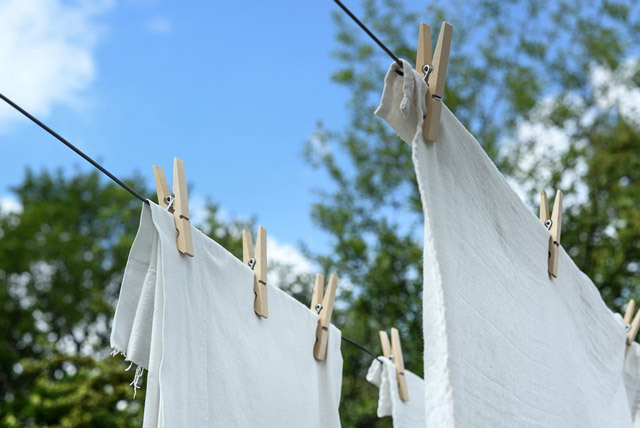 Part of what helps make cotton, silk, or linen sheets and covers cool is their ability to breath. This ability allows for proper air ventilation, which helps keep your body cool as a cucumber when you sleep. The problem is that fabrics can get clogged up with dirt, and this can happen after just a few days of usage. 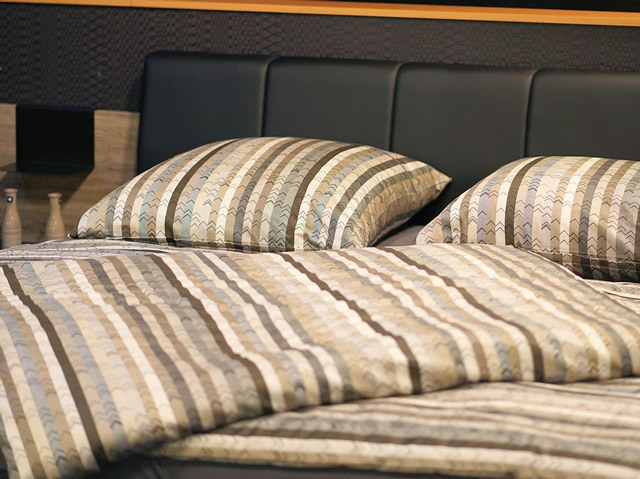 This ends up making it harder for these fabrics to circulate air, which does not help keep your bed cool, so what you want to do is just clean your sheets a little more than you normally would. Do not fret about this. You only have to observe this practice during the summer. Besides, it is a good idea to wash those sheets since you are probably sweating more in the summer. Some mattresses are a little hotter than others like memory foam mattresses, which can get pretty hot. This is great during the winter but it can be a bit of a nuisance during the summer when you need a breathable mattress. Of course, it would be silly to have a different mattress for each season but what you can do is simply place a cooling mattress on your own mattress to help provide that much needed ventilation. These types of mattresses are sold in stores and online, so they should be easy to purchase. Keep in mind that most of these mattresses add comfort to your bed so it is a win-win situation. 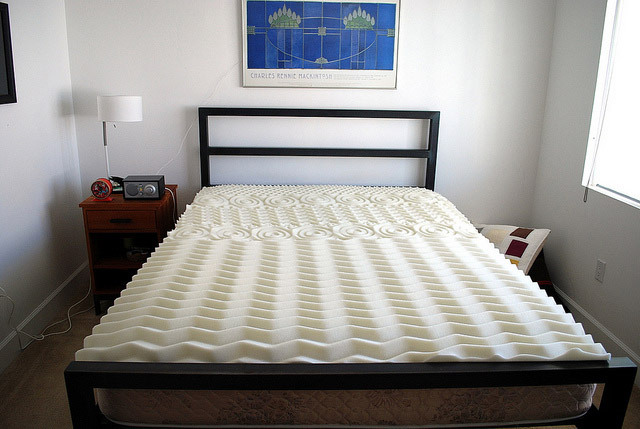 Another good thing about these mattress toppers is they are relatively cheap, so this expense won’t take too much of a bite out of your wallet. These are just some steps you can take to keep your bed as cool as possible. Of course, there are additional steps you can take on your own, like wearing pajamas made of lighter fabrics or placing a slightly damp cloth over your neck, which usually helps keep your body temperature under control. Hopefully, some of these suggestions help keep you cooler at night. All you are trying to do is get a good night’s sleep, and there is nothing wrong with that.